Last Chance to Grab Drop Dead Gorgeous Shoes and Apparel! How many of us browse through online catalogs, load up our shopping carts and just chicken out at the last minute? We may have been too busy, too preoccupied or just too lazy to follow through the shopping process; but too often we regret having missed that great top or the really pretty pair of shoes that was just the right size and style. Well, now you can go back and look at the great buys you have almost missed by browsing Zalora PH’s Last Chance page. These are great looking, still style items that are being offered for the last time. They’re going to be around only for a couple of weeks, and will completely disappear from Zaloran’s online catalog. The Last Chance sale is ideal for both male and female shoppers. The catalogs are brimming with great finds and stylish pieces that can be used to beef up your wardrobe staples. Invest in several good pairs of pants and a few fashion-forward tops that you can mix and match with jackets, vests, scarves or a sweater if the weather is particularly cold. Because the prices are offered at a great discount, you can buy several key items instead of just one or two interesting items. For men, this is also a good time to buy a good sturdy pair of shoes, a nice long-sleeved shirt, a hoodie, and a cool-looking hat to create a whole new look. For the fashionista, this is your last chance to check out items you may have glossed over a couple of weeks or months back. 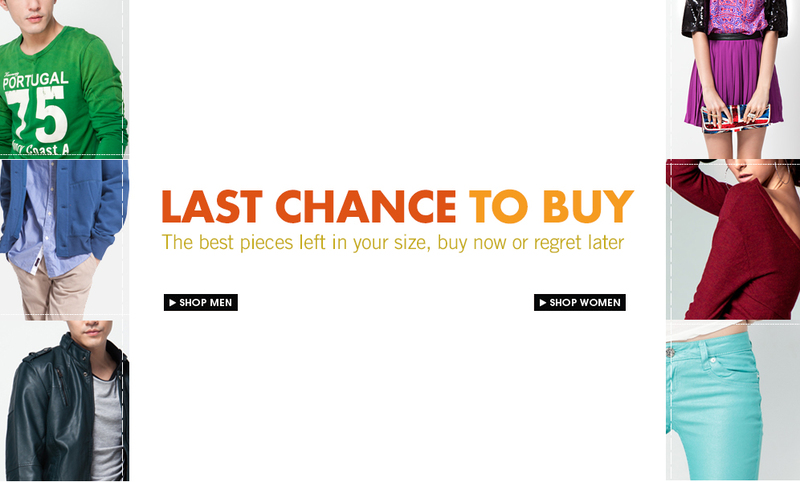 The Last Chance page at Zalora PH is the perfect opportunity to shop online for high quality items that are both stylish and comfortable. The page features various brands and offer great discounts. You can search for shoes or apparel based on size or your preferred price range. Online shopping is truly a fun experience at Zalora!